For ice makers, drinking water, cooking water and any purpose when water needs improvement of taste, color, or odor. The Yes Filter will completely remove all chlorine from water when the chlorine and chloramine concentration level is .5 ppm. The activated carbon still removes a large percentage of chlorine and organics present from the water past this capacity allowing you time to contact your dealer for servicing. 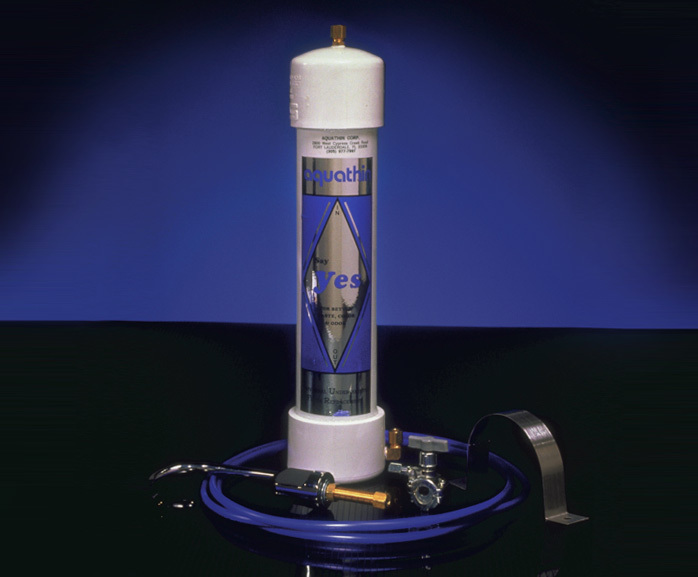 Please click the Product Catalog button below for more information on Aquathin's Yes Filter.